..that customer satisfaction is not simply a goal to achieve, but rather a constant objective to be pursued. At A&R Janitorial, we make customer satisfaction our primary mission shift by shift, each and every day. 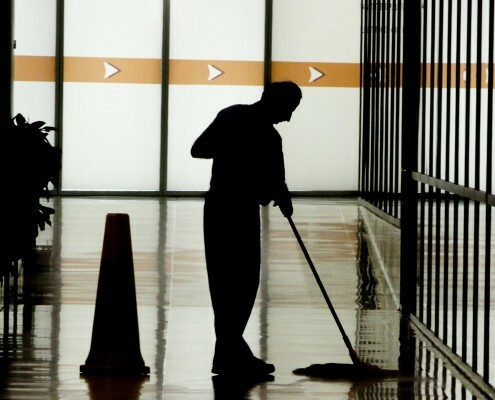 A&R Janitorial Service is committed to doing more than meeting our customer’s needs, we strive to exceed expectations by providing the best value and continuously improving our processes and cost structure. A&R’s long-standing reputation has been built upon providing the highest quality service with the utmost integrity. Our individualized service to our clients illustrates versatility, flexibility and loyalty that is unmatched in the industry. A&R works to develop mutually beneficial relationships with our suppliers and our customers. The result is a team approach with one goal – the best possible service with maximized value. Our management network of local and corporate resources provide any and all support needed. From emergency response to molding an efficient staff, our goal is to provide service beyond satisfaction.